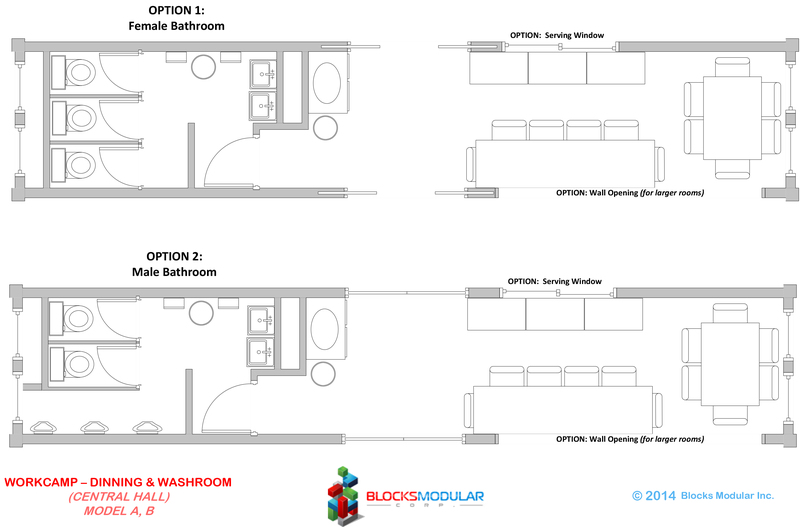 A module containing a restroom with serving area. Great in combination with the central hall common area module. This module is designed to be used in conjunction with the central hall common area and a kitchen. 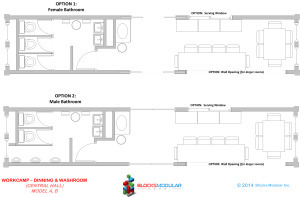 It Contains a serving area and washroom (option for men or woman).